With businesses increasingly shifting online, it has become crucial for ecommerce ventures to derive the most optimal solutions available for running their business in a seamless fashion. Magento 2.0 comes as an enabler in terms of helping in the creation and addition of full-featured websites and extensions with minimal effort. While about 824,399 websites are Magento customers at present, Magento Development in the form of the second version has 95,530 websites currently using Magento 2.0. 1 Magento enlists 3,233 Indian websites while Magento 2.0 has 741.2 There are various verticals currently using the latter including style and fashion (24%), business and industrial (14%), technology and computing (10%), shopping (6%), automotive and vehicles (4%), food and drink (4%), art and entertainment (4%), and travel (2%)3. Magento 2.0 introduces an enhanced indexer helping increase its query performance speed. It transforms merchant data like catalogue data, price, users, stores and other variables and creates updatable index tables. Magento 2.0 also incorporates Varnish cache, a popular HTTP accelerator technology, to ease cache requests. This eases processes for more than one admin user to create and edit ecommerce product information without data conflicts. In addition, Magento’s performance and scalability are enhanced as it optimizes web pages for faster delivery, increases server response times for all website activities, efficiently conducts backend operations, and handles peak loads with efficient database flexibility and scalability. The checkout process is immensely important in converting sales. Several users abandon their shopping carts due to the lack of an efficient check out process. It is possible for an ecommerce website to gain 35.26% in conversion rate if it improves the this4. Magento 2.0 addresses this requirement by improving the stage substantially as it consists of merely 2 steps: shipping and review and payments. The simplified solution improves and eases customer experience by eradicating logins or registrations while also offering dynamic shipping rates according to country, region, or postal code. 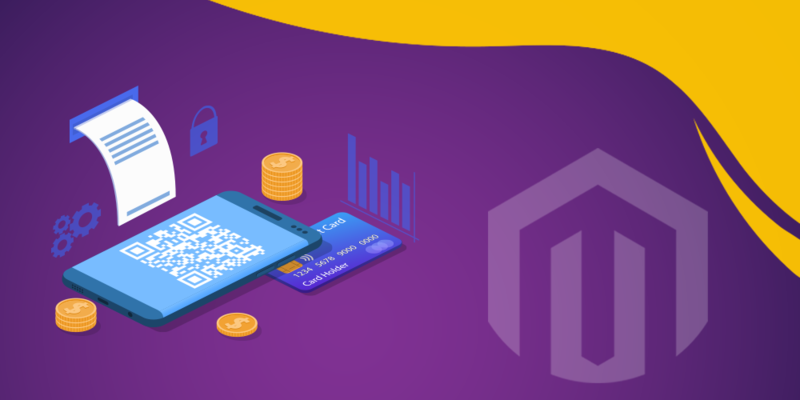 Apart from offering different payment options like PayPal and Braintree, Magento 2.0 allows creation of the company’s own preferred payment modules including easy integration with any merchant checkout platform. The order summary is also included. These features comprehensively reduce checkout friction and time, while putting the customers in control of the checkout process to increase conversion rate and reduce card abandonment. Magento 2.0 is mobile friendly in the sense that it offers responsive design reference themes and mobile optimized checkouts. Ecommerce websites created can be optimized for different devices regardless of different screen resolutions. In addition, other mobile-friendly apps can also be created to increase conversion rates. The admin panel is touch-screen friendly making it easy to manage company store using cell phones or tablets. Ecommerce stores require easily upgradable platforms to incorporate new bug fixes and avoid security risks as well as slow processes. Magento 2.0 offers a continuous process to provide security patches and in turn assures merchant security. Regular updates also mean newer extensions and features. For instance, Magento 2.0 has introduced an Instant Purchase feature allowing customers to place orders quicker and more easily without having to undergo the normal checkout process. The instant purchase button on a product detail page redirects customers to a confirmation page allowing them to directly place their order. By storing payment information, it cuts down the order placement time by 90%, making it especially convenient for mobile shopping and impulse purchases. Another upgraded feature is the dotmailer email marketing automation, which helps merchants create automated campaigns via SMS, Push, email, and other channels in mere minutes. Magento 2.0 offers irresistible advantages for ecommerce ventures in terms of enhanced performance and scalability, checkout process, mobile optimization, and easy upgrades. It is being trusted by the world’s leading brands and rightfully so. It would be advisable for companies to understand the key benefits and upgrade their ecommerce platform to Magento 2.0. Ever since commerce has traversed into the digital realm, companies have begun stressing on a suitable ecommerce platform for their business. This is more so in the case of emerging enterprises considering that consumers are increasingly purchasing goods and services online. 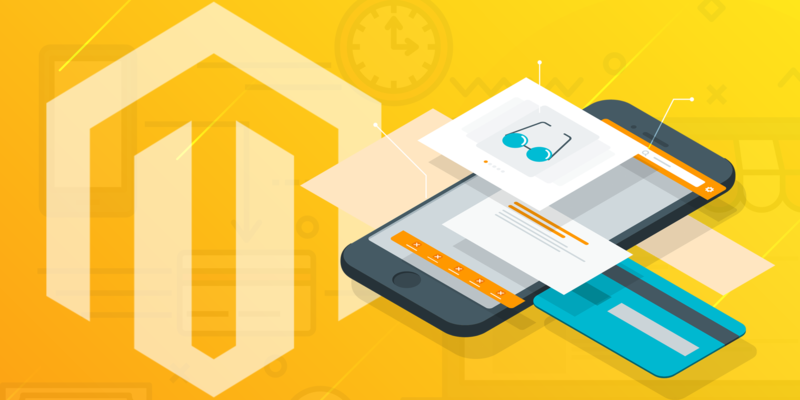 With such a dramatic shift in the shopping and buying scenario, businesses also require a development platform that caters to this changing need – and if reports are anything to go by, Magento seems to be the number one choice. Estimates indicate that more than 250,000 merchants all over the world are actively use this platform for their e-commerce stores currently. Magento Development for any business is thus the need of the hour. According to Forrester, Magento digital solutions are stable, scalable, and flexible in contributing towards revenue growth. Apart from gaining popularity among developers and designers worldwide, the ecommerce platform is perfectly suited to small and medium-sized businesses. Magento can be used by ventures to shape up their business according to specific needs. It is well-known that the ecommerce ventures that allow for hassle-free browsing on any device tend to excel over others. Customers need all information concerning a product at their fingertips as it makes the buying process easier and faster. Magento gives an edge on this front over other platforms with support for even international customers. It also allows for multiple currencies, choice of languages, and fast booking options. Engaging with a UX/UI venture that provides for Magento Development keeping these in mind is thus worth considering. One can monitor sales, traffic, and conversions among other aspects with ease while showcasing what areas can be improved. Magento was acquired by Adobe recently and the combination of their leading commerce and digital experience capabilities puts the former in a unique position. Magento’s reputation as the world’s most popular commerce platform and Adobe’s leadership in designing and delivering great digital experiences is geared towards enabling every business to create and deliver compelling real-time experiences, engage with customers across every touchpoint, and transact anywhere across the entire customer journey for both B2C and B2B. Magento’s product entry feature enables merchants to enter long lists of products by defining their attribute sets. Ease of navigation to the product entry screen allows seamless addition of titles, SKU, descriptions, short descriptions, and weight while enabling users to reveal them on the external sites for products. Therefore, the overall upload of product listing in bulk allows absolute product management. Magento Development should be integrated into an ecommerce business’ policies right at the outset. In terms of customization, the platform comprises theme selection wherein an interactive dashboard coupled with intuitive navigation has been designed for simplistic use of the interface. Hence, those with minimal web experiences can easily interact with it. The process further offers tools for elementary customization and selection of attractive themes. Affordability is among Magento’s standout traits. The total cost of ownership is reduced for businesses as Cloud hosting eliminates the costs of maintaining, monitoring, and hosting a commerce solution themselves. Their monthly subscription fee further offers budgeted yet efficient digital solutions. Magento is an extraordinary platform with cutting edge, customized, and innovative offerings that give it an edge among other competitive ecommerce platforms. The solutions offer immense value while also considering and weighing the immaculate features and reasonable costs. For a business that is looking at scaling up without increasing its spending, Magento can be the go-to smart choice. Magento is the eCommerce software and platform trusted by the world’s leading brands and merchants who are looking to move into the next phase of growth. With a plethora of plug-ins, extensions and modules available to handle expansion and internationalisation, the potential for growth is endless. Magento’s adaptability is just as yielding on a mobile platform aswell. Utilising the power of responsive design, your website are visible when accessed from a mobile or tablet. As an open source platform, Magento empowers merchants to reach new levels of success by creating rich, and flexible eCommerce web sites that maximize revenue.Here are some of the reasons and features that you will love to choose Magento as your eCommerce solution. All the more, Magento have a big community, which means you can find tutorials and articles almost about anything you need. If you have a problem in Magento, you can be sure someone has already solved it – you just have to search for it.